Breath sounds can be classified into 2 broad categories: normal breath sounds and adventitious (or abnormal) sounds. Adventitious breath sounds include wheezes, coarse crackles, fine crackles, and rhonchi. A significant amount of information about the upper and lower airways and lung parenchyma can be obtained by listening to the chest. Relevant lung anatomy is depicted in the images below. Anterior view of lungs and trachea. Posterior view of lungs and trachea. If possible, auscultation of the chest should be done with the patient in the seated position. The diaphragm of the stethoscope should be used. The examiner should warm the stethoscope between his or her palms before placing it on the patient's chest. 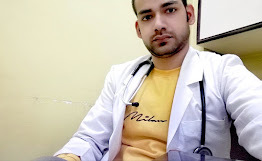 The stethoscope should be placed against the patient’s bare skin; the examiner should not try to listen through the patient's clothes. Breath sounds can be divided into 2 categories: normal and abnormal (adventitious). Normal breath sounds can be further divided into 2 subcategories: vesicular and tracheal. Vesicular breath sounds are the sounds heard during auscultation of the chest of a healthy person (listen to the audio recording below). The inspiratory component predominates and is generated by turbulent airflow within the lobar and segmental bronchi, whereas the expiratory component is due to flow within the larger airways. A wheeze is defined as a continuous musical sound lasting longer than 250 ms .It is thought to be due to oscillation of opposing airway walls that are narrowed almost to the point of contact. A wheeze may be either expiratory or inspiratory and may contain either a single note or multiple notes. Wheezing is common, estimated to occur in 25% of the population at some point. It is frequently more audible at the trachea than in the chest. Clinically, wheezing indicates airflow obstruction, though its absence does not exclude obstruction. Such obstruction may occur at any point along the airway. Conditions associated with wheezing include infection (croup, whooping cough, bronchiolitis), laryngeal or tracheal tumors, tracheal stenosis, tracheomalacia, foreign body aspiration, other causes of large airway compression or stenosis, vocal cord dysfunction, asthma, chronic obstructive pulmonary disease (COPD), cystic fibrosis, bronchiectasis, hypersensitivity pneumonitis, and pulmonary edema. A squawk is defined as a very short wheeze. It is thought to occur when a closed airway suddenly opens during inspiration and the airway walls briefly remain in light contact. Squawks are most common in fibrotic disorders, particularly hypersensitivity pneumonitis. Crackles are defined as a short, explosive, nonmusical sound. The can be divided into 2 types: fine and coarse. Compared with coarse crackles, fine crackles have a higher frequency and a shorter duration. Fine crackles are caused by the sudden opening of a closed airway; coarse crackles are thought to be related to secretions. Crackles may occur on either inspiration or expiration but are more common during inspiration. Inspiratory crackles may be classified as early inspiratory, midinspiratory, or late inspiratory. Crackles are more frequently heard in the basilar regions of the lungs because the distribution of airway closure is gravity dependent. General characteristics of these crackles have been described for many different disorders (although there may be variations among individual patients). In idiopathic pulmonary fibrosis, crackles have been described as fine, short in duration, higher pitched, and occurring in late inspiration. A basilar predominance exists in early disease. Asbestosis is associated with fine crackles. The presence of crackles has been shown to be associated with honeycombing on imaging and with the duration of dust exposure. In bronchiectasis, crackles have been described as high frequency and coarse. They occur in early inspiration or midinspiration and are thought to be secondary to bronchial wall collapse during expiration and sudden opening in inspiration. In COPD, crackles are most commonly due to airway secretions and typically disappear after coughing; they may also be due to the opening and closing of narrowed bronchi with weakened airway walls. Crackles in COPD are characterized as coarse, early, and low pitched and tend to be infrequent. The crackles associated with pulmonary edema are attributed to the opening of airways narrowed by peribronchial edema. They are described as coarse, late occurring, and high pitched. They may be inspiratory or expiratory. In pneumonia, 2 types of crackles have been described. Early pneumonia is associated with coarse, midinspiratory crackles. Crackles during the recovery phase are described as shorter and occurring at the end of expiration. Crackles are relatively rare with sarcoidosis (because of the upper lobe predominance of the disease); when they do occur, they are described as fine and either late inspiratory or midinspiratory . Stridor is defined as a high-pitched continuous sound heard over the trachea. It is due to turbulent flow generated in the upper airway during extrathoracic airway obstruction, and it tends to occur when the upper airway is narrowed to 5 mm or less. Stridor is louder than wheezing, and it is longer in inspiration than in expiration. It may be caused by any condition that leads to narrowing of the extrathoracic airway. Pulmonary parenchymal consolidation may cause several changes in the quality of breath sounds. Bronchial breath sounds are breath sounds that are overly well transmitted to the chest wall as a consequence of increased sound transmission through the consolidated lung parenchyma .These sounds are described as similar to tracheal sounds and are loud, high pitched, tubular, and whistling. Expiration is as loud as, or louder than, than inspiration. Consolidation also leads to changes in voice-generated sounds. Normally, the spoken voice has a muffled, indistinct quality when heard during auscultation of the chest. With a consolidated lung, the voice may take on a high-pitched, bleating quality (egophony) or may exhibit increased pitch or transmission of words (bronchophony or pectoriloquy). The so-called E-to-A sign has also been described, in which a spoken “E” sounds like “A” on auscultation of the abnormal area.